Patients who utilized the prescription drug medication Xarelto should consult with North Carolina defective drug lawyers at Auger & Auger. Our attorneys are currently taking cases from clients who have experienced severe incurable internal bleeding and other complications from the use of this blood thinning medication. Xarelto complications may be life-threatening and patients and their families are pursuing claims against Janssen Pharmaceuticals, the drug manufacturer, as well as claims against Bayer Healthcare which was responsible for co-marketing the drug. 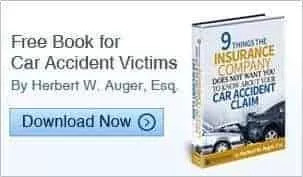 Auger & Auger can help victims to explore legal options for recovering compensation from these companies which were responsible for the release of a dangerous medication. Xarelto is an anticoagulant blood thinning medication prescribed to patients with conditions including atrial fibrillation; deep vein thrombosis; pulmonary embolism; and stroke. Patients who recently underwent hip or knee replacement surgery and who were at risk of blood clots were also prescribed Xarelto. Xarelto became a popular alternative to a blood thinner called warfarin, which was used since the 1950’s. Xarelto was widely embraced as an alternative because of the difficulty of developing an accurate dosage schedule for warfarin and because patients who take warfarin must get monthly blood tests and carefully monitor their vitamin K intake. Unfortunately, while internal bleeding caused by warfarin could be stopped by the administration of vitamin K, internal bleeding caused by Xarelto was both common and unstoppable. This often meant patients who experienced problems with Xarelto suffered fatal complications. In addition to uncontrollable internal bleeding, Xarelto has also been linked to post-surgical infections; decreased hemoglobin; brain bleeding; peripheral edema; breathing difficulty; and hematoma. These complications can be costly to treat and can cause permanent harm to patients. Patients must also consult with a medical professional after sustaining any injuries that could cause internal bleeding while taking Xarelto. If complications or fatalities are linked to Xarelto, patients may pursue a claim to recover all monetary damages and losses resulting from the use of this medication. In the event that the internal bleeding or other Xarelto complications caused fatal damage, surviving family members may pursue a wrongful death claim. Patients will not be required to prove negligence under strict liability rules applicable in defective product cases. Instead, a patient may recover compensation for medical bills; wage loss; pain; emotional distress; and other damages provided the patient demonstrates that the drug caused harm when used as intended. To learn more and to schedule your free consultation with a defective drug lawyer that can help, give us a call today.